Wavify TimeNX | Wavify Inc.
avify TimeNX is the timing and synchronization solution for present technology’s higher demand of time accuracy. The solution is designed to be enterprise time synchronization server for large-scale system where thousands of devices are involved, while still maintaining high security and privacy. Wavify TimeNX provides nanosecond-level time precision for secured networks in a compact hardware of rack-ready 1U appliance, supporting time referencing through NTPv4 Stratum-1 time source via default GPS and other reference options. The unit comes ready with new precision timing standard IEEE-1588 PTPv2 grandmaster. It is perfect for internal network that needs nano/millisecond-precision in all network device timing like trading floor or laboratory equipments that need accurate measurement and control. The PTP deployment option is included with no extra license cost. TimeNX is optimal for standardizing time of system or organization. TimeNX’s inbuilt 6-gigabit ports are able to support up to 12,000 NTP requests per second. 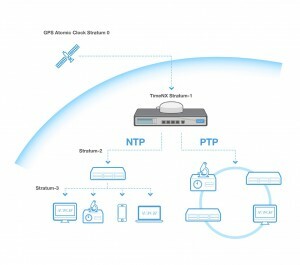 The system can be deployed either as a standalone or together with other Stratum-1 NTP time source. The precision of time over the GPS availability can be further enhanced by adopting optional modules such as internal Rubidium time source option that keeps the nanosecond-precision up to 72 hours. Wavify TimeNX is an all-in-one timing and synchronization server designed for network, security, and other equipments that require accurate time service. 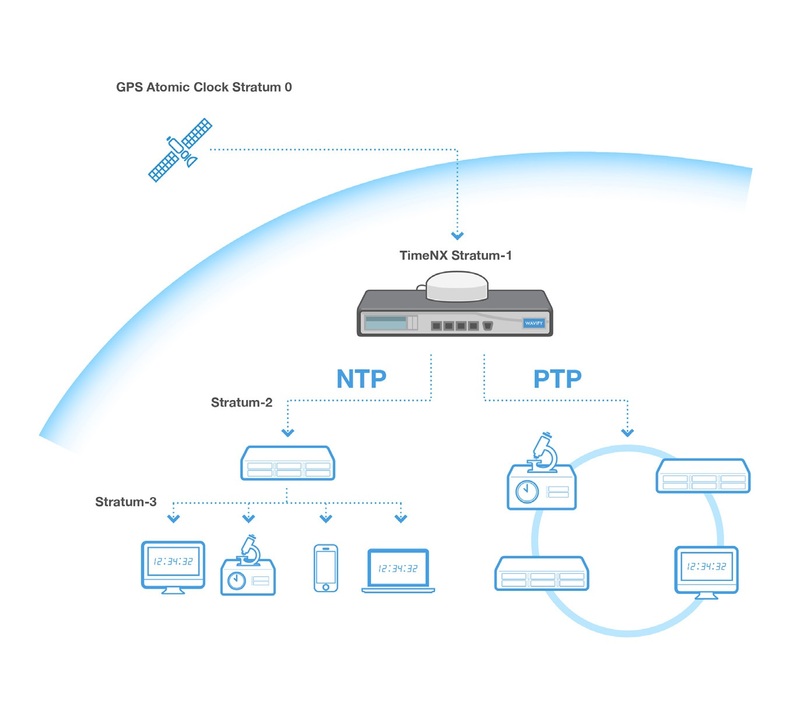 The solution includes complete support of NTP, SNTP, and PTP timing protocols, along with features such as additional time source and output settings. As security is a necessity of organization network, Wavify TimeNX comes with various security measures such as firewall to protect your network against attackers, MD5 authentication to limit the access to TimeNX, and log to increase traceability of TimeNX condition. Wavify offers a full line of unified time synchronization appliances that ranges from NX200, designed to be stratum-2 peering time synchronization appliance for branches, to the NX1000, which is the large scale time synchronization appliances with rubidium time source option specifically designed for ISP and cloud service providers. NX200 – No GPS. 2x 10/100/1000Mbps network interfaces. 1,000 NTP req/s. NX300 – GPS. 2x 10/100/1000Mbps network interfaces. 2,500 NTP req/s. NX500 – GPS. 4x 10/100/1000Mbps network interfaces. 4,400 NTP req/s. NX1000 – GPS. 6x 10/100/1000Mbps network interfaces. 12,000 NTP req/s. Please contact Wavify sales for more information or price quotation.